Shaheed Bhai Kulwant Singh Gumty was born into the Gursikh family of Sardar Surjit Singh and Mata Gurdev Kaur in December 1963, in village Gumty Kalan, district Bathinda. Bhai Kulwant Singh was educated till 4th grade at Govt High School (Gumty) and completed his middle education at Arya High School (Nabha) before returning to Gumty to complete 10th grade. During his high school years Bhai Kulwant Singh was a promising athlete and a state level Kabaddi player and whilst at T.P.D Malwa College Rampura Phul, became an acclaimed weightlifter, competing at University level. In 1983 Bhai Kulwant Singh met Sant Jarnail Singh Bhindranwale and took Amrit from the 5 Beloved Singhs (5 Pyare) and became a close acquaintance of Bhai Amrik Singh which led him to joining the All India Sikh Student Federation (AISSF). Due to Bhai Kulwant Singh’s dedication and determination, students from across the district were joining the Federation and in reward for his hard work Bhai Kulwant Singh was appointed in charge of the Bathinda unit of AISSF. In March 1984, the Indian Government banned the AISSF and began arresting activists of the Federation. In May 1984, Bhai Kulwant Singh was charged and arrested under the National Security Act (NSA) but later released when the government of Surjit Barnala came into power in Punjab under its initiative of releasing Sikh prisoners/activists under the age of 20. When Bhai Kulwant Singh was released from jail, the Police attempted to frame him in cases of murder but were unsuccessful in capturing him, then one day Bhai Kulwant Singh was surrounded outside SD College, Barnala by the CRPF. Bhai Kulwant Singh managed to fight off a unit of CRPF personnel but was eventually overpowered and detained as reinforcements arrived. Bhai Kulwant Singh was kept in Police custody for 27 days before being presented in court. Whilst in custody, the Punjab Police brutally tortured Bhai Kulwant Singh, his thighs were pierced and nails were pulled out. The Police were desperately seeking information on known associates who were underground at the time but Bhai Kulwant Singh did not reveal a shred of information. Bhai Kulwant Singh was moved from jail to jail, he spent time in Bathinda, Sangrur and Nabha jail before being released on bail in 1989. Upon release from jail Bhai Kulwant Singh continued his activities as Sikh Students Federation leader of Bathinda but was forced to go underground when he was implicated by a Comrade in an incident which took place during his time at Rampura Phul. Bhai Kulwant Singh then joined the armed struggle and participated in many guerrilla actions, working closely with members of the Khalistan National Army and Saffron Tiger Force of Khalistan before forming his own unit with Bhai Shamsher Singh Shera, Bhai Yadwinder Singh Yadu, Baba Bohar Singh & Bhai Baldev Singh Majha. This group came to be known as the Liberation Tigers of Khalistan (LTK). Bhai Kulwant Singh was considered to be an “intellectual militant” and believed in the process of exhausting all means before resorting to the use of weapons. He openly declared that no innocent Hindu’s or Police officers would be indiscriminately targetted. An example of Bhai Kulwant Singh’s fairness was displayed during an incident which took place as he was being produced in court during Police remand. The van in which Bhai Kulwant Singh was being transported met with an accident resulting in the death of a Hawaldar, injuries sustained by Sipahis and the Thanedar breaking both his legs. Miraculously Bhai Kulwant Singh did not receive a single scratch and the Thanedar pleaded for his life to be saved offering to open Bhai Kulwant Singh’s chains on the condition that he would assist the injured and not escape. Bhai Kulwant Singh replied “a Sikh of the Guru does not desert a person in need”. Despite having the opportune moment to escape along with the weapons of the Police, Bhai Kulwant Singh attended to the wounded and then drove the van to the court, presenting himself before the judge who lauded his actions and refused to extend further Police remand. On the other hand, those who’s actions led to the harassment/torture of villagers and arrests/shaheedi of Jujharu Singh’s were not spared. One such person was a Police informant from village Gumty who reported Sikh families offering shelter and food to the Jujharus. Upon identifying the informant Bhai Kulwant Singh dressed as a Police officer knocked on the door of the informant who initially believed he was being visited by the Police to be rewarded for his work, though he quickly realised that was not the case. The crime of running his mouth was met with a fitting punishment as Bhai Kulwant Singh placed a pistol in the informant’s mouth and pulled the trigger. SSP Sharma of Bathinda also suffered the same fate at the hands of Bhai Kulwant Singh for brutally torturing and killing Sikhs. Bhai Kulwant Singh Gumty and the Liberation Tigers of Khalistan (LTK) continued their activities in the Malwa region of Punjab and worked with alongside a number of groups including the Khalistan Liberation Force led by Bhai Gurjant Singh Budhsinghwala. 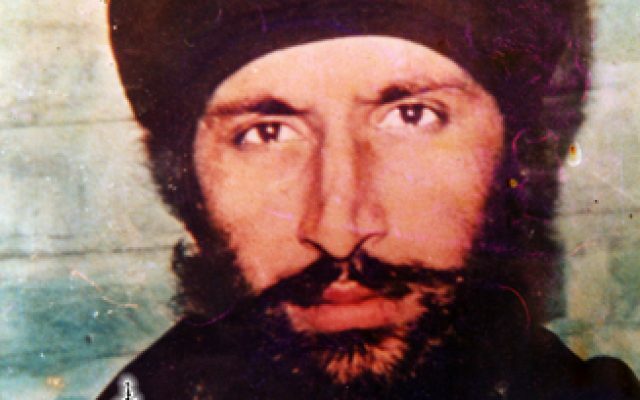 Although unclear of his exact involvement, the name of Bhai Kulwant Singh Gumty also features in many reports during the kidnapping of Romanian diplomat Liviu Radu in October 1991 who was taken in attempt to secure the release of Bhai Harjinder Singh ‘Jinda’ and Bhai Sukhdev Singh ‘Sukha’. On March 13, 1992 Bhai Kulwant Singh Gumty was surrounded by the Punjab Police at village Chak Atar Singh Wala (Bathinda) where a firefight took place eventually resulting in Bhai Kulwant Singh Gumty’s Shaheedi. Bhai Kulwant Singh fought valiantly till his last breath against the large numbers of the Police causing many casualties. Following the Shaheedi of Bhai Kulwant Singh Gumty, Bhai Baldev Singh Majha became the General of Liberation Tigers of Khalistan (LTK) and was later succeeded by Baba Bohar Singh Khan.